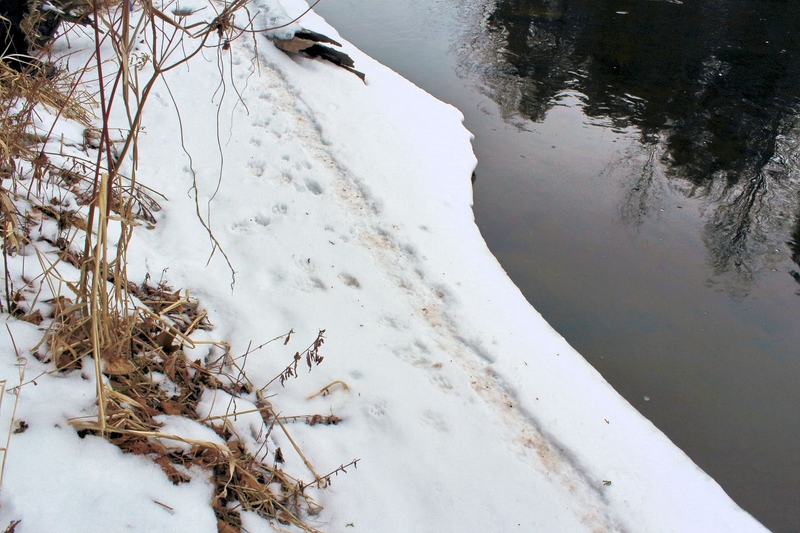 There is no better time than the middle of winter for a walk at Sylvan Solace Preserve to see animal tracks. 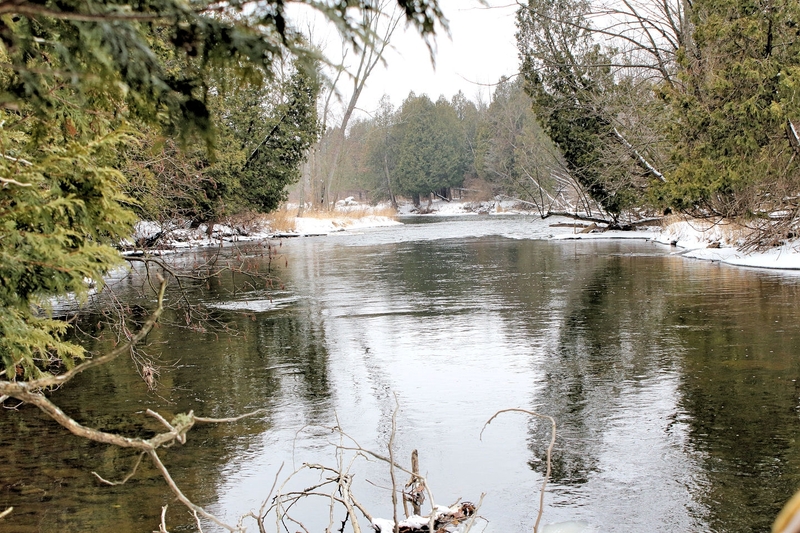 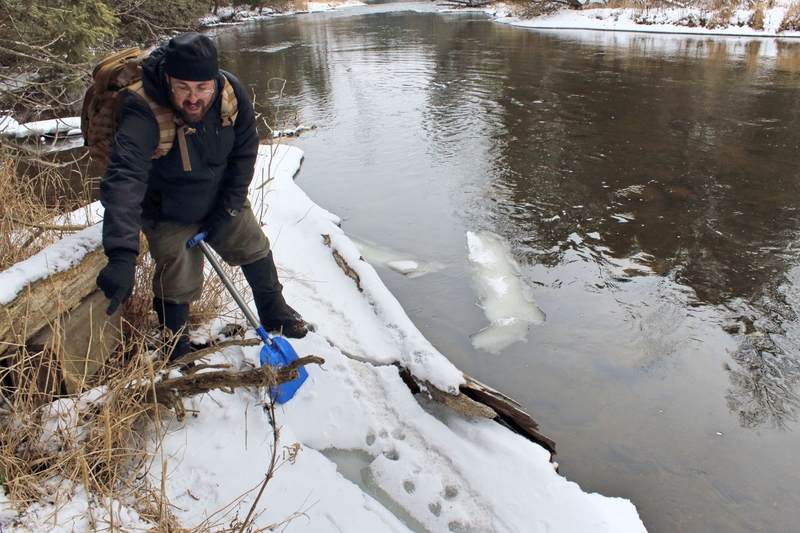 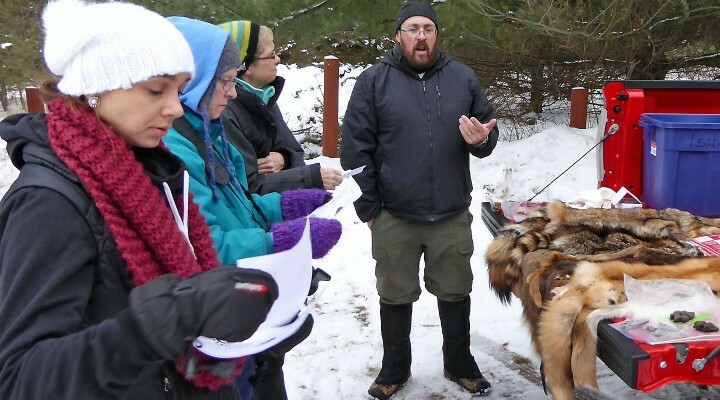 On Saturday, January 24, 2015, Mike LeValley, the Environmental Educator for the Isabella Conservation District, began our program by giving participants a chance to see and feel the winter pelts of a variety of mammals, including deer, coyote, fox, raccoon and mink. 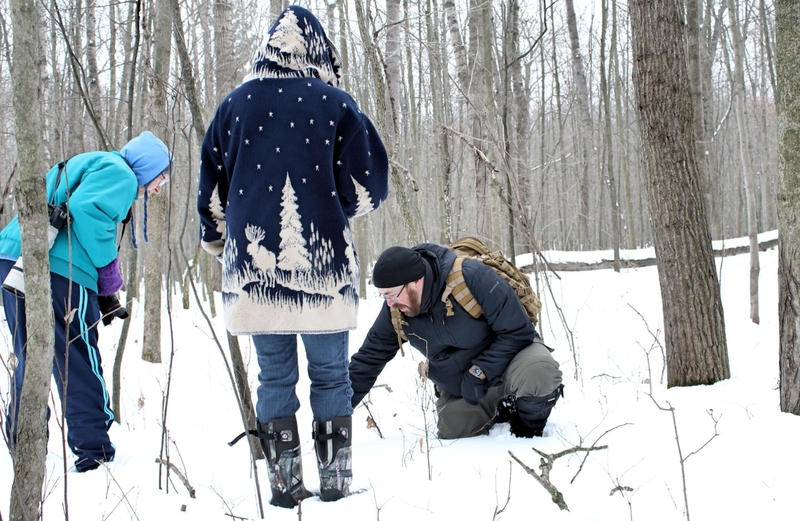 Originally billed as a snowshoe walk, the limited snow depth caused us to reconsider and simply make it a boot walk. 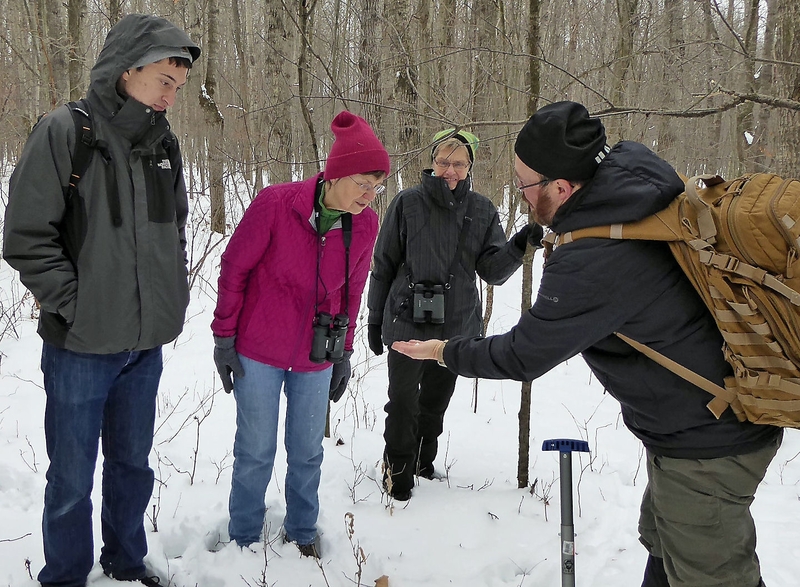 Nevertheless, there was still plenty of tracking snow and Mike led an enthusiastic group both on and off-trail, to see a variety of tracks left by the denizens of the preserve, including deer, fox, rabbit, raccoon, mink, mouse and shrew. 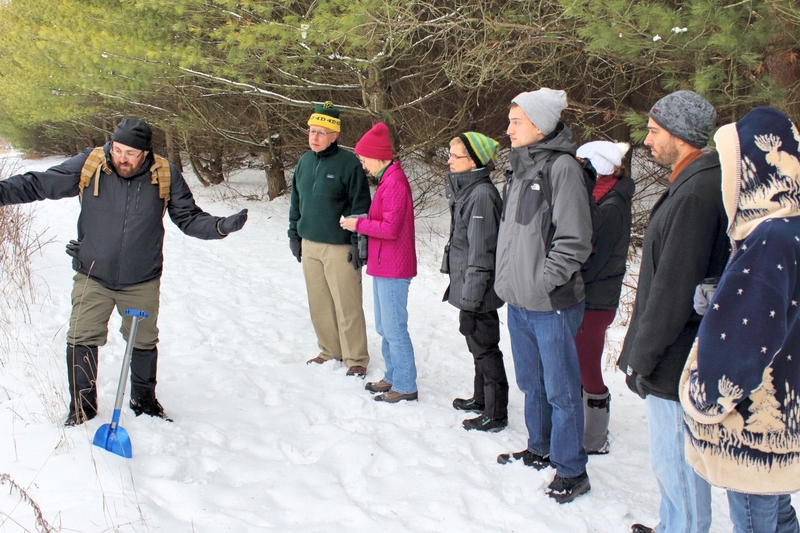 Mike also used a shovel to scrape off snow cover to show the elaborate system of trails that mice create in winter to move around while avoiding the watchful eyes of predators. 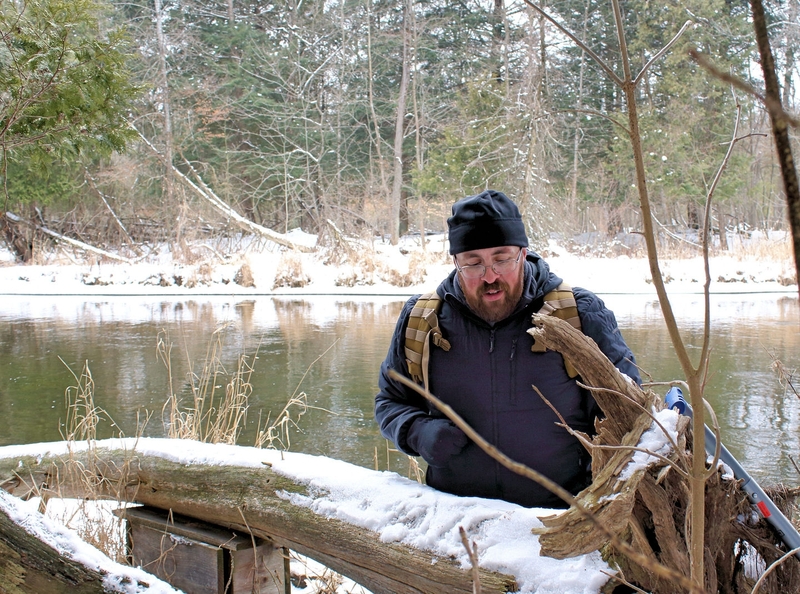 Temperatures in the low 30’s, no wind and a beautiful blue sky made for a good day to be in the woods. 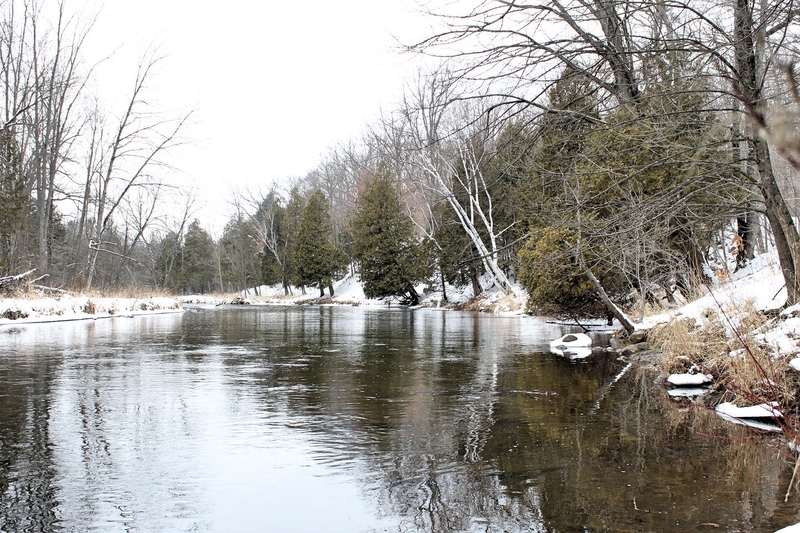 Unexpected mid-winter encounters included green sedges growing in an unfrozen puddle near the Chippewa River, an active spider in a web, midges flying about, and a brief swoop across the river by a Barred Owl. 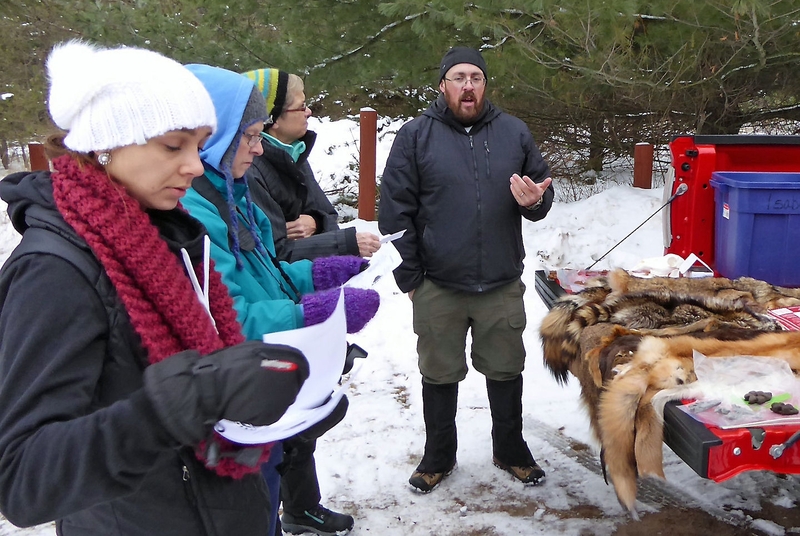 Many thanks to Mike for an educational and entertaining day. 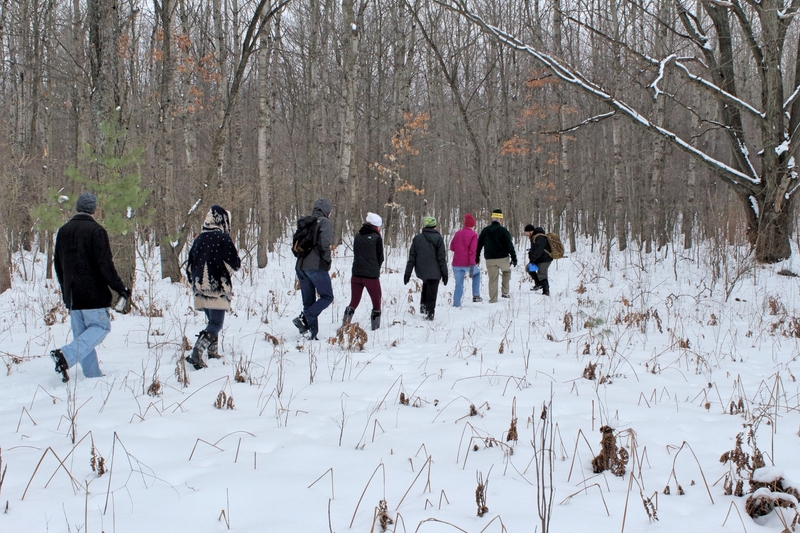 Don’t miss our next walk at Sylvan Solace, scheduled for February 28, when we will learn to identify trees in winter.